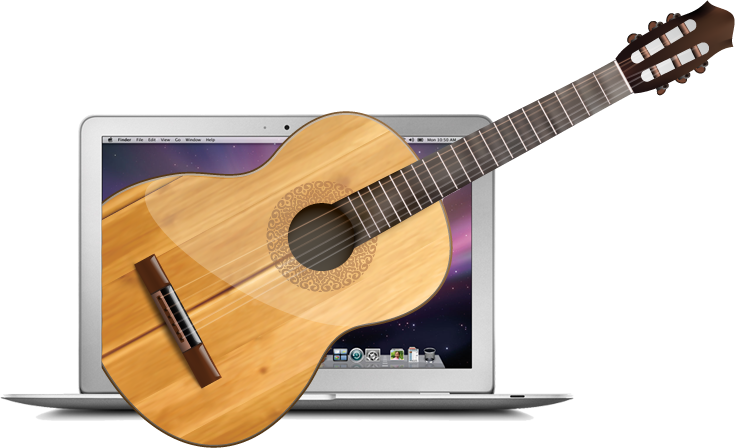 Mr. Arnold offers live video music lessons for those students who have access to video conferencing software and hardware. You can use either Skype or FaceTime for these lessons. The lessons use full video and audio so this is the next best thing to being in New York and getting a lesson with Mr. Arnold. Before signing up and paying for a lesson you must contact Mr. Arnold to setup a lesson time and discuss the purpose for your lesson, including topics to be discussed or other special requirements that may be needed. Contact Mr. Arnold. Once you have contacted Mr. Arnold and set up your time slot, follow this link to pay through our shopping cart system. Please note that each video lesson must be paid for in advance of the video lesson unless you have a credit card on file with Muse Eek Publishing. Important considerations: If you schedule a music lesson and don’t try to connect (basically are absent) you will be charged for the lesson (no refunds). If you attempt to connect and there is a mechanical or internet problem you will not be charged. You must send an email to Mr. Arnold (link) if you are unable to connect due to a mechanical or internet problems. This email must be dated within the time you have booked for your lesson to avoid being charged for a missed lesson. Your lesson will be for the full amount of time requested. There is usually a period of time needed to connect with each other. This connection time period is not part of your lesson time. If you are new to video conferencing it is suggested you find a friend to test your connection before entering into an agreement to participate in a on-line lesson with Mr. Arnold. Weekly private student’s of Mr. Arnold can request video music lessons when unable to make their regularly scheduled lesson time. Your connection period and any testing in this case is limited to your specific lesson time. Mr. Arnold does not do test runs for weekly students and if a connection is attempted during the lesson time, which doesn’t succeed, the student will still be charged for their weekly lesson. There are no exceptions to this policy. Please note that you can not use course discounts and general sales to lower the price of lessons.